Although the demise of phone calls in favor of texting, especially among Millennials, has been widely reported, in reality many citizens (the elderly, those in need and those looking for a personal touch, for example) still rely on voice communications. When they have a question or transaction for your agency, they tend to pick up the phone and dial. Even young people use their phones for more personalized interactions, according to the Boston Globe. There are many reasons for this preference, ranging from a lack of technology savvy to a desire for richer interactions than can be achieved through a text. Whatever the cause, government contact centers need to pay fresh attention to phone calls – which too often are plagued by long wait times and caller frustration. An adaptive IVR can deliver on all three of these objectives. The common thread is encouraging and enabling greater reliance on self-service so that you create a preference for self-service among your citizens to solve their needs. Many people are receptive: in the last five years alone, customer preference for automated self-service has doubled. When your callers can fully handle their transaction or request in the IVR, they are less likely to ask for an agent’s help. In turn, fewer agent interactions lead to lower costs and workloads. And, perhaps most important, callers get a more satisfying customer experience (CX) - think less waiting on hold, more control and greater convenience. So, how do the best IVRs, such as the Adaptive IVR solution from Contact Solutions, improve voice communications with the government contact center? They adapt to the caller’s needs and preferences through personalization technologies. Boosting Personalization: At the very basic level, we think of call personalization as one that can skip the language option because the IVR remembers the preference information in each customer's profile, and automatically plays all voice prompts in the chosen language. This function is highly desirable, but personalization can be so much more valuable while saving you money. For example, features in our Adaptive Personalization can automatically push specific menu options to the front of the call flow, because that’s the information a customer most frequently requests. And it has menu and speed adjustment, where it detects callers struggles with voice prompts it slows them down or fast caller response can speed them up, or reduces or adds to menu prompts, accordingly. Modernizing Routine Functions: Say goodbye to the old ways of faxing and emailing. This automated capability relieves contact center staff of tedious chores - manually printing and faxing documents or planning out routine email responses to callers. Scheduling time to leave the phone to fax or email responses uses up valuable and limited staff time. These functions can be automatically done based on rules in the IVR that trigger a response to resolve issues without agent resources. 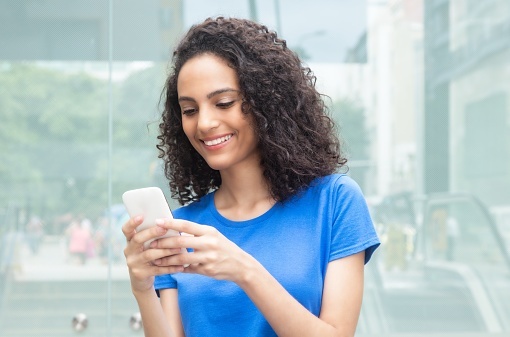 SMS/Text sent for routine updates and notifications saves manual tasks to schedule and implement communications that can be pre-planned on a routine basis to reduce inbound calls and improve CX. Enhancing Security Measures: Nothing says you care like a worry-free call from a program beneficiary that unobtrusively authenticates their information, analyzes their responses and helps them with their account information while keeping out the bad guys. Fraudsters using names like Mickey Mouse, Al Capone and John Doe attempt to phish and infiltrate citizen benefit accounts all day, every day. For many government agencies and commercial enterprises, what happens in the IVR is a complete surprise that can be prevented with real-time, automated identity authentication and fraud prevention measures. 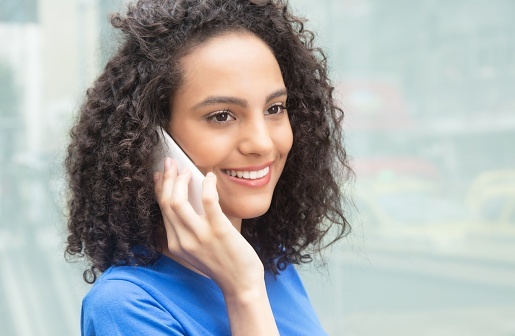 An IVR that is both dynamic and easy to use can support citizens’ desires to continue picking up the phone, while making their experience more enjoyable and efficient. 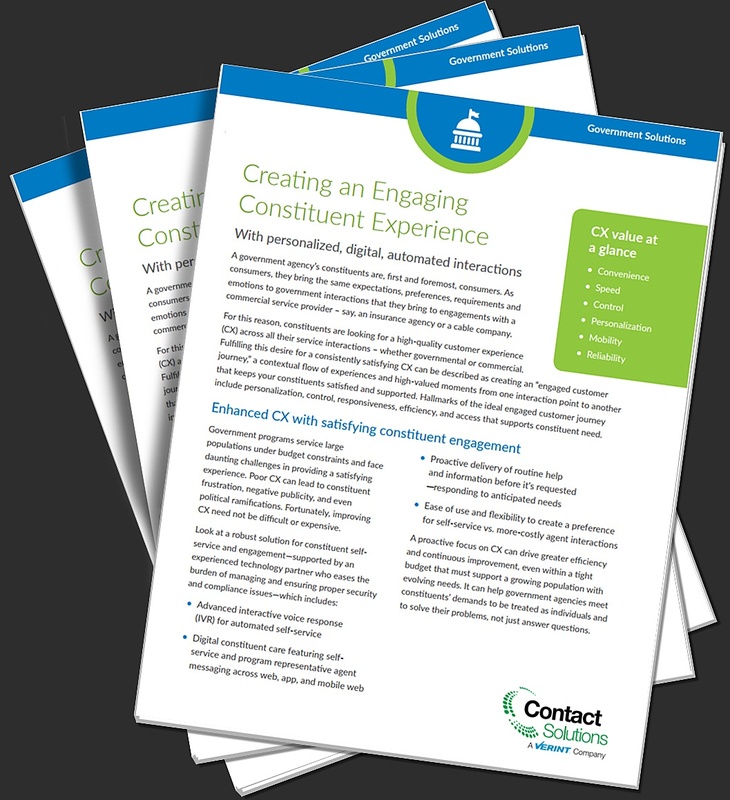 For your department and programs, better voice self-service reduces complexity and costs, enabling you to do more with limited resources, such as integrating digital customer engagement options, while improving staff morale and workload.